Poems -- & musings on the Albany (NY) poetry scene. "It's not the Truth, but it's pretty darn close." I admit to a penchant for “poems of place”: William Carlos Williams’ Paterson, Charles Olson’s Maximus, Hart Crane’s “The Bridge,” Walt Whitman’s poems of America, C.P Cavafy’s Alexandria, Charles Baudelaire & Paris. So how could I not like this attractive little book, especially since I enjoy so much the energy & engagement of the performances of this poet also know in the Slam world as Elizag. Half the book is “The Clotheslines of Cohoes,” poems about the people & the place where she lives, under the mist of the Cohoes Falls; the other half of the book, titled “What Grace is For” is a (welcomed) collection of her other work, largely Slam/performance pieces, many of which I’ve seen her perform, some more than once, but never had before the pleasure of a text, a script. The Cohoes Falls (& the adjacent housing, once for the mill workers) is an attraction to which I often drag out-of-town visitors. It’s a spectacular vista, especially in the Spring with the run-off from from the rivers & streams but still stunning in the Winter & peaceful in the Summer & Fall. Visitors are always impressed by the Falls, but also by the working-class housing sitting right there over-looking the next-best-thing to Niagara Falls. As I add this marvelous book to my shelf I realize that my “poets of place” list doesn’t include any women, forgive me. But now the list does, with “Love Cohoes.” Thanks Elizag, & keep at it. 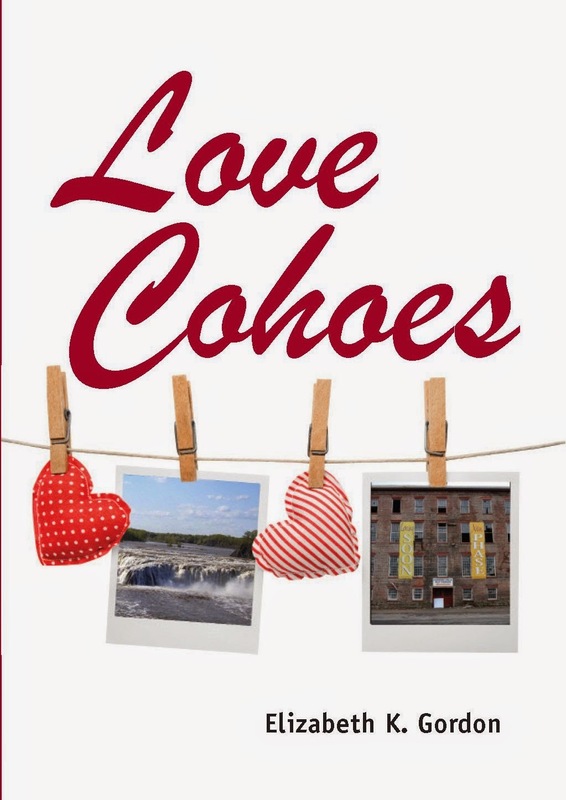 Love Cohoes is published by Crandell, Dostie & Douglass Books, www.cddbooks.com, who also published in 2007 Elizag’s tender & moving memoir Walk With Us: Triplet Boys, their Teen Parents and Two White Women Who Tagged Along, both available at Amazon.com & from the author at readings. From Therese L. Broderick - It is a wonderful book! And your review, Dan, is wonderful, too! As for other local women who write books of place-poems, might Bernadette Mayer qualify, with her books on Troy and on East Nassau? Hmm, Helens of Troy is a sure bet but I don't know the book on East Nassau -- can't be very big, can it?